Application Highway projects, soil erosion control etc. 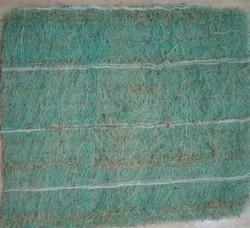 Non-woven coir geotextiles with net backing on both sides, 600 gsm. Geo blanket for highway projects etc. 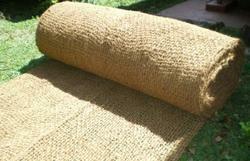 We are offering our clients a wide range of Woven Coir Geo Textilereckoned for their premium quality and durability. To meet the variegated requirements of our valuable patrons, these textiles are available in woven and non-woven forms with various specifications and designs. Our patrons are provided with customized and quality-approved products at affordable prices and are used in various civil and mechanical industries. It is an excellent product for environmental engineering and erosion control. Eventually turns into nutrient for the very vegetation it protected to growth. 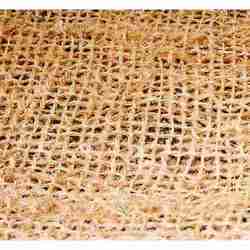 Our domain expertise has enabled us to offer a qualitative range of Non Woven Coir Geo Textile. To ensure that our offered products are able to stand tall on the expectations of patrons, we have a team of experienced quality controllers to check every product before delivering them to the client. We provide these products in variegated specifications and designs as suited to the clients' requirements. Looking for Coir Geo Textile ?